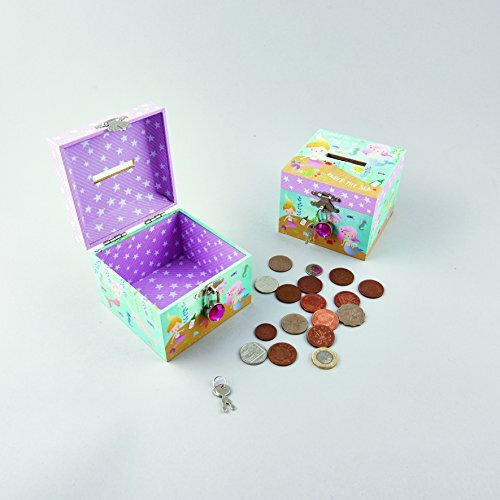 Treasure, coins, notes and more will be safe and sound in one of our exclusively designed money boxes. Each box comes with 2 keys for the padlock and each box is colourfully designed inside and out. This Mermaid money box is lockable. This money box comes with a diamond lock. This money box has a mermaid design. This can be used to store treasure, coins, notes and more!! If you have any questions about this product by Floss & Rock, contact us by completing and submitting the form below. If you are looking for a specif part number, please include it with your message.